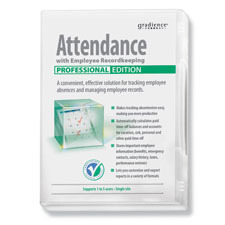 Your Gradience® Attendance with Employee Recordkeeping downloadable software license expires annually on December 31. Renew today to continue to easily plan time off and ensure work schedule coverage for another year. 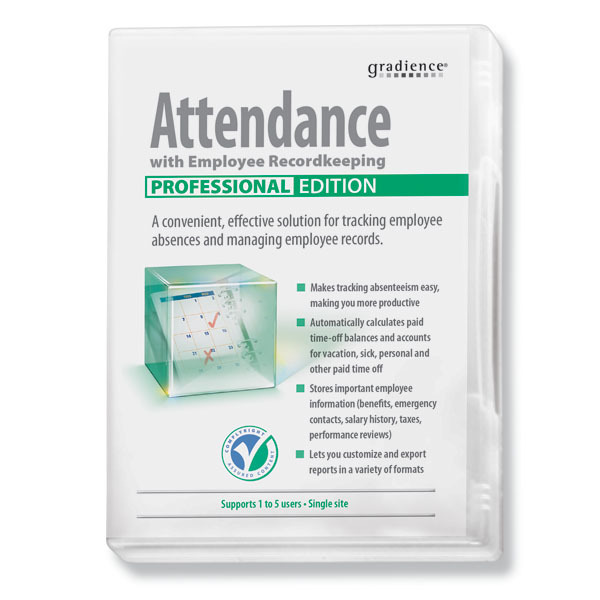 Along with all the great attendance tracking functions, you can securely store important employee information: benefits, contacts, salary information, performance reviews and more. You can also create and print employee IDs and badges. This purchase is for a one year software renewal. This software requires an annual renewal for use.